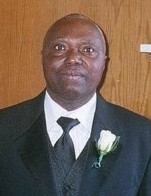 Etienne J. Pierre-Louis, a resident of Watertown, passed away at the age of 72 on December 5, 2018. Devoted husband to Nativita (Desilne) Pierre-Louis. Devoted father of Jean & his wife Georgiana Pierre-Louis and Vanessa Pierre-Louis. Cherished grandpa Tienne to Marcus D. Pierre-Louis & Sophie J. Pierre-Louis. Dear brother of Marie-Rose Dufreny, Gustave Pierre-Louis, Sylvain Pierre-Louis, Jean-Pierre Joseph Pierre-Louis, Felix R. Pierre-Louis, Joseph Augustin Pierre-Louis, Marise Pierre-Louis Valentin and the late Augustine Pierre-Louis Nomes. Dear Uncle of Ricot Pierre-Louis, Guy Pierre-Louis, Robens Pierre-Louis, Rolls Pierre-Louis, Robendgy Pierre-Louis, Joseph Junior Pierre-Louis, Jean-Eder Pierre-Louis, Jean Yves Pierre-Louis, Armstrong Pierre-Louis, Stanley Pierre-Louis, Emmanuel Pierre-Louis, Steve Nomes, John Morel Nomes, Jeffrey Valentin, Kirby Valentin, Sheila (Nomes) Colas, Rachel (Pierre-Louis) Clerger, Ines Pierre-Louis, Farah (Pierre-Louis) Blount, Tanya Valentin, Valencia Pierre-Louis, Martine (Pierre-Louis) Sanchez Martinez, Josette Pierre-Louis, Melissa Pierre-Louis and Ann Stuart Pierre-Louis. Family and friends will celebrate Etienne's life by gathering for visiting hours in The Nardone Funeral Home, 373 Main St., WATERTOWN, on Friday December 14, 2018 from 4 - 8 PM and again on Saturday December 15, 2018 at 8 AM followed by a 9 AM Funeral Mass in St. Patrick’s Church. Burial at Ridgelawn Cemetery located in Watertown. The Hellenic Cultural Center, 25 Bigelow Ave. Watertown, MA 02472.